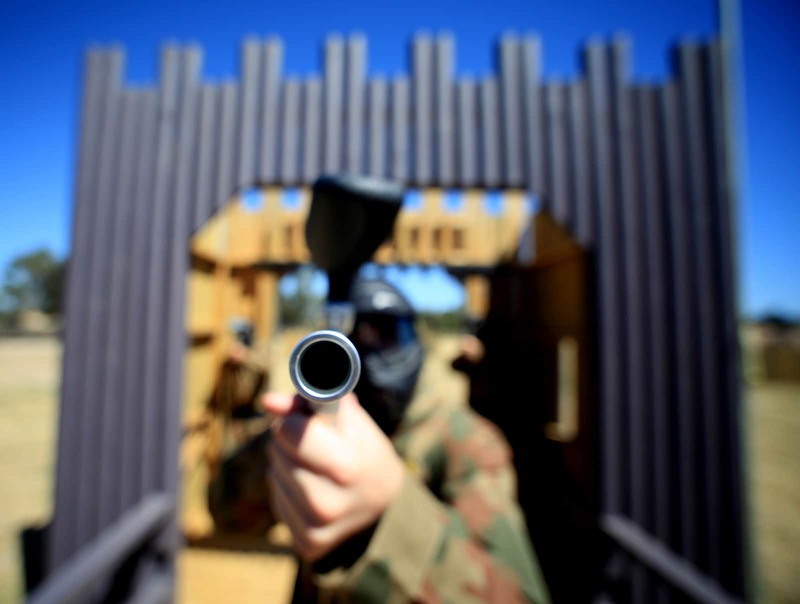 6 reasons why singles should go paintballing this Valentine’s Day! Not quite at the ‘celebrating single life’ stage? No problem. Take your anger out on your unsuspecting enemies with one of our 0.68 calibre semi-automatic paintball guns, or better still treat yourself to an upgraded M16 replica machine gun – perfect sniper material! There is nothing more depressing than finding a Valentine for the sake of finding a Valentine. Instead, why not spend it with the ones who’ve been there for you through thick and thin? The guys you grew up with? The people you can truly rely on? Your best mates! While couples are frantically trying to find the fanciest restaurants, the sexiest outfits and the most expensive-looking presents, the only pressure you will have to face this Valentine’s Day is making sure you don’t get hit with a paintball. Sounds good, right? And all for a fraction of the price! Paintball is a great way to meet new people. Girls – you could meet your knight in shining armour as you enter Castle Wallenberg. Guys – there’s nothing more appealing than a girl who knows how to handle a weapon, right? 5. Forget watching movies and eating chocolates – star in the movie and eat pizza! Villains vs. Heroes, Cops vs. Robbers, Zombies vs. Humans – we have all your favourite missions. Why sit at home watching a silver screen blockbuster when you can practically be in one? Our epic movie set game zones and genuine Hollywood props will blow your mind, while our piping hot pizza delivery service craves even the biggest appetites! They say you have to love yourself before you can love another, so stop sulking around, treat yourself and remember what it’s like to have fun! You don’t deserve to be alone this Valentine’s, so why not come and join a load of like-minded individuals for potentially the greatest day of your life? Secure your Valentine’s date now! Ready to book? Great! Our paintball centres are open right throughout February, so give us a call on 0203 869 9301 to secure your perfect paintball date. Alternatively you can visit our booking page to request a callback.